The sanitation of a business’s entire premises is important, but it should be noted that some places are more important than others, with the restroom being a prime example. In part, this is because the restroom can expect to see a lot of use, meaning that its sanitation has the most impact on the spread of infectious diseases, which can pose serious hindrances to even the best businesses. However, it should also be noted that restroom sanitation can make the restroom seem that much more safer to use, which can be extremely important because statistics show that unsanitary restrooms can drive away an astonishing 30 percent of all customers. As a result, while restroom sanitation can seem like a secondary concern, it has serious consequences that most business owners will not expect. What Are the Challenges of Restroom Sanitation? First and foremost, maintaining restroom sanitation is challenging because customers have a lot of expectations. For example, a sanitary bathroom is supposed to have no dust, no odor, no litter, no spots, no stains, and more besides. 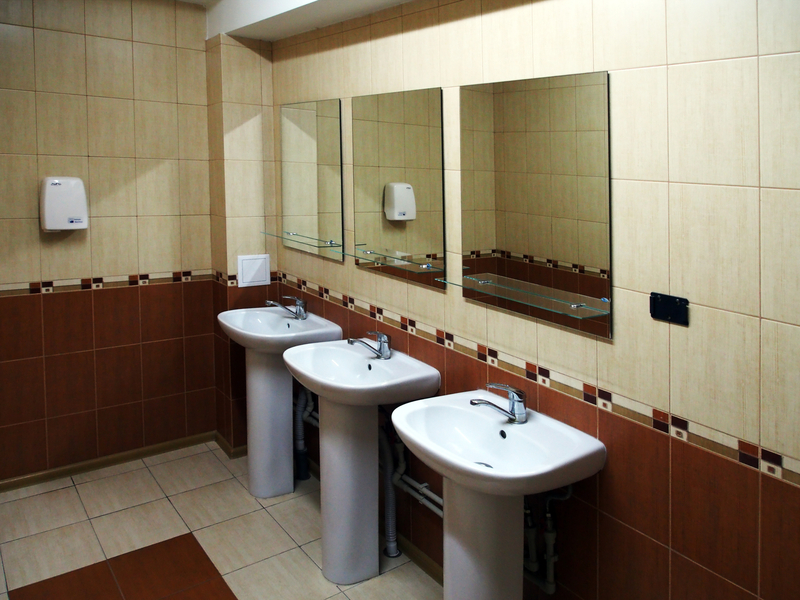 As a result, a business needs thorough and methodical cleaning if it wants to maintain restroom sanitation, which can call for significant time and effort on its part. Second, what looks sanitary might not actually be sanitary, meaning that restrooms have to be cleaned using cleaning tools and methods that have been proven to be capable of providing the results that businesses need. Once again, this means a significant commitment of resources from the business as well as a significant need for the right expertise and experience. Finally, it should be noted that the right cleaning tools and methods can make cleaning that much more efficient and effective, thus saving businesses that much more time and effort. As a result, businesses that want to get the best results without having to break their budgets in the process need cleaning expertise and experience on their side. To secure such expertise and experience, they can either maintain a full-time cleaning team, which might be too expensive for most businesses, or entrust their cleaning to an outsider, which is reliant on them being able to choose the right cleaning contractor. Summed up, it is clear that most businesses need to choose the right cleaning contractor if they want to maintain their restroom sanitation for the best results. To learn more about how Summit Janitorial can help our clients achieve the sanitation standards that they deserve while also making sure that they won’t exceed their budgets in the process, please contact us as soon as time permits.